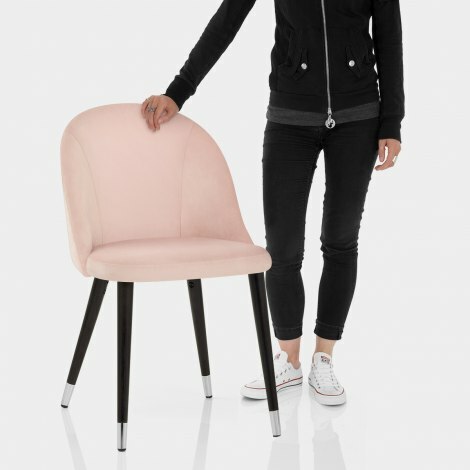 Introduce some subtle luxury to your dining room with the Polo Dining Chair Pink Velvet, a smooth and sophisticated piece. Destined to become a firm favourite in your interior, the Polo Dining Chair invites you to dine in style and comfort. 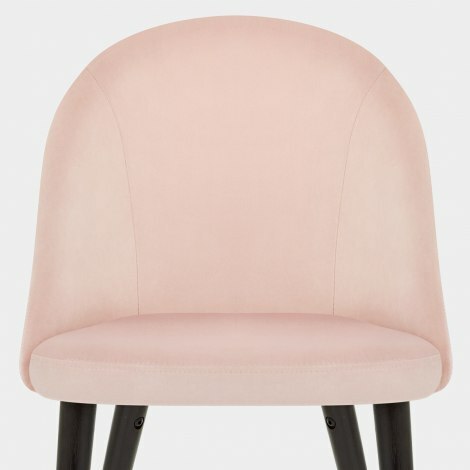 Upholstered in a chic shade of pink velvet, the padded seat has a soft rounded design. This is mirrored in the curving backrest, which is detailed with simple stitching and offers great support. A quartet of solid wooden legs form the base beneath the seat, each with an adjustable protective plug underneath to keep your floors safe. Capped with chrome tips, the legs have a dark wenge finish for a classy contrasting look. "Don't keep it to yourself!" Be the first to review this product - It would be great to hear your thoughts.